VODAFONE ESSAR- We provided spangle steel Mezzanine flooring system for our reputed client- Vodafone Essar. 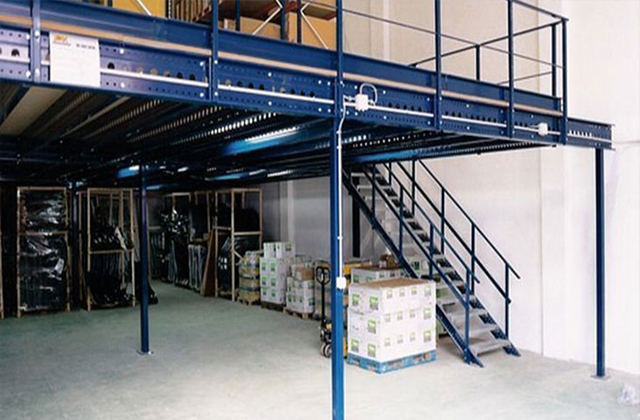 This product provided instant extension of floor and additional space for storing their goods. DABUR INDIA- For a grand company like Dabur India, storing goods in a properly arranged manner is a challenging task. With our effective storage system, the problem was duly solved. We offered the solution in form of spangle steel Slotted Angle Racks, Palletize Racking System and Mobile Storage Systems for different departments. These highly space efficient storage systems made the work of various departments easy. CROMPTON GREAVES LTD- Crompton Greaves is an Electrical appliances manufacturer and supplier. We provided with spangle steel Cable trays and Industrial shed for solving the problematic handling of huge bulk of wires and lack of space. PIDILITE- Pidilite is an experienced consumer chemical manufacturer. Known basically by the name of Fevicol, Pidilite faced an acute problem of mobilizing their product. Spangle steel Mobile storage system proved to be the best choice for them and their problem was solved. They also ordered for Pre fabricated building for there new manufacturing unit. ASIAN PAINTS- Asian paints is known for its vast number of colour shades used for painting walls. The small and large containers of Asian paints are stored and transported in Spangle Steel Three Tier Storage Racks and Mobile storage system.